Unfortunately, many online merchants believe that simply listing products on an e-commerce website will result in plenty of website traffic and excellent profits. If you do not pay attention to good search engine optimisation (SEO) for your e-commerce site, it can cost you in the long run. Optimising an e-commerce site for the search engines takes a lot of work, and it is harder than dealing with SEO for company websites or blogs. Make the wrong SEO mistakes and you will have a tough time making money with your site. 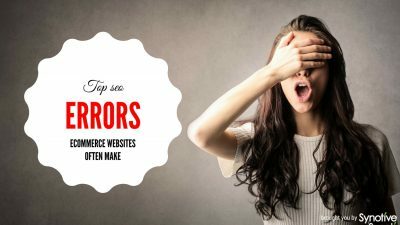 Here is a look at some of the top SEO errors that e-commerce websites often make, as well as some tips you can use to avoid these common mistakes.